For our large-scale efforts, the combination of in-house scanning and contracted services gave us the highest productivity at the best price. 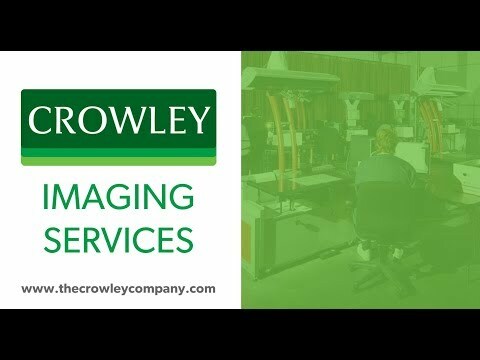 Home > Imaging Services > Crowley Advantage > Why Outsource? As a partner in the conversion process, it is incumbent on The Crowley Company to help clients discern the most cost-effective manner to digitize and process archives and records. Sometimes the answer is a hardware purchase that outfits customers to take on their own conversion projects; sometimes – depending on the variety and quantity of media and deliverable demands – it makes economic or workflow sense to have the project scanned either on- or off-site by a professional service bureau. And – in other cases – a hybrid approach provides the best ROI (ie: Crowley Imaging scans and processes a collection while the client may update the metadata). Crowley Imaging owns, maintains and operates one of the largest service bureau floors of paper, large-format, microform, aperture card and book scanners, as well as the industry-best in processing and duplicating equipment. Additionally, Crowley has the largest capacity for non-destructive book scanning in the United States. As manufacturers of scanning, duplicating, processing and digitizing equipment and re-sellers of some of the most exclusive capture hardware in the archive industry, Crowley Imaging has inside access to research and development teams, technical staff and software engineers; this makes Crowley more capable than most of making updates to hardware or software on the scanning floor. Crowley Imaging offers three shifts of imaging experts to meet the needs of high-volume archive and records management clients. This eliminates in-house training, staff and management costs for the client. Crowley Imaging has the storage capacity to process large-volume projects and the IT personnel able to help customize applications for end-use of the scanned images within a client’s framework. Additionally, Crowley Imaging can host images and provide a unique online roll film (microfilm) viewer called IMAGEhost. Crowley Imaging has access to a large network of qualified subcontractors to help provide best-price solutions to unique needs or requirements sometimes found in archival or production-level conversion projects. All work performed by subcontractors carries a Crowley guarantee for customer satisfaction. Crowley Imaging’s expertise and wealth of equipment allows for a wide variety of end-user deliverables, including TIFF, JPEG, JPEG 2000, PDF image-only (single/multi-page), PDF with hidden text, OCR output, XML and many other file formats as well as 16 or 35mm microfilm from color or grayscale images.